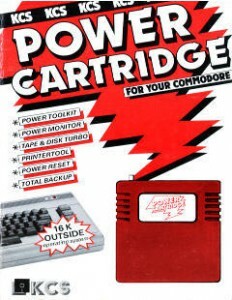 Yet another Dutch C64 manual, this time it’s the KCS Power Cartridge. This entry was posted in Hardware Manuals and tagged c64, cartridge, manul, power by Carsten Jensen. Bookmark the permalink. I have used this KCS Power Cartridge for over 28 years now, and its still going strong. and a built in Machine code monitor, all of this does not take up any C64 ram. One of the best things I like is the printer parallel interface on the back of the manual it shows you how to make an interface for any parallel printer it is easy. With over 51 extra commands at your fingure tip its easy to work with giving your C64 that extra boost on your programming. And yes it has a UNNEW command so if you NEW any program by mistake then simply type in unnew and you have got it back. The built in Machine Code Monitor has a very extensive set of commands. it also has a button on the back left hand side by pressing this button you get another set of commands 11 in all. With this set of commands you can save any program and a lot of other stuff. The only downfall is that what ever you save you must have the KCS pluged in to retrieve it. So a basic program will not run unless you have the KCS plugged in. Or a saved out full shop game, the kcs will copy any program that is out there. The reset button is unstopable. So if you want a cartridge for basic programming then this is it, it is very helpfull and makes life a lot easier, but not just for basic but for all other programms that there are out there. I have the Action ReplayMk6.0, Freeze Frame Mk3.B, FreezeMachine, and the KCS Power Cartridge and to be honest if its basic then the KCS will do the job for you, all the others are better for gaming., but having said that the KCS will copy any game out there.